He was born in L'Aquila (Abruzzo) on November 20, 1989, his name is Simone Centi. Already at an early age he began to explor the world of music, listening some different genres as house, deep and tech house. 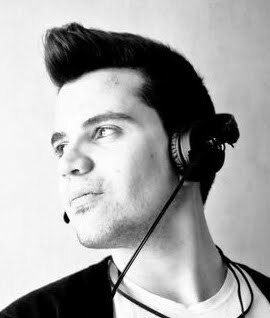 He was fascinated by this passion that was emerging gradually therefore at the age of 16 years old, with the artistic name of Simone Centix, he took up a career of DJ and he began to play in some haunt in his town and in various dj contest organized by local agencies. Simone, never dejected by the hardships that have turned against, at the age of 20 years he has continued to devote more and more in the music world by following the various artists (Villalobos, Loco says, Reboot, Lap Digitaline, Romano Alfieri , Radio Slave, Nice7 Etc.) beginning to produce music tech house and deep with his first macbook so trying to compose a particular style of music with a rhythm full of energy that it reflects his full character and his moods.